If you’re organizing awards, contests, or other paid programs, you know one of the trickiest challenges is striking the right entry pricing balance. Basically, if you set it too low it cheapens the experience and yields lower profit margins. Set it too high, you price out many applicants and miss out on more sales. 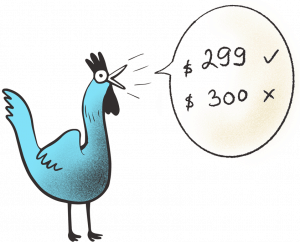 This guide will help you make the right decisions and master the art of pricing. These are the two pillars you can always rely on, whether you’re managing an awards competition or making pizza. When it comes to pricing your program, you should always start with some research into who’s going to want to apply. This will later help you come to a reasonable price range that works best for your program. Your base price should be derived by calculating your costs and adding a markup. To ensure that you will at least break even, make sure you include all direct and indirect, variable, fixed, and operating costs. Adding improved value propositions like discounts, promo codes, freebies, etc; is a powerful tool to attract new applicants, retain previous ones. Such special offers should be planned in advance in order to ensure that maximize results are achieved and increase the program’s bottom line, instead of reduce it. Do you want entry into the program to come at a premium price, be more affordable, or somewhere between? When deciding this consider important factors such as competition, market trends, special offer strategy, and last but not least – how much would target applicants be willing to spend on a program like yours. Finally, you’re ready to set the base price range for dynamic pricing, which would allow you to drive sales. This strategy is based on segmentation and knowing data about peak sales periods. Since the price of a perishable product fluctuates continuously over time, one simple way of driving demand is to incrementally increase the price when nearing D-day and mix it up with unexpected discounts and promotional sales. ProTip: To maximize your profit margins, you need to keep the range of your pricing fairly balanced! This means considering a wide range of factors including any costs per applicant, who your target audience is, competitor prices, as well as following a general pricing strategy. Competitive pricing – setting your prices based on what the competition is charging is a relatively safe and reliable strategy to adopt. Just keep in mind that it has its downfalls, as the difference in prices influences the decision to buy and consumers are less likely to do so if faced with a choice between two similar items with identical prices. Premium pricing – simply put, charge higher prices for entry into your program or awards. This is suitable for market-leading organizations and well known names, but can be tricky to pull off if you’re still relatively unknown. We recommend a lower markup, because it would be more effective during your organization’s growth period while aiming for higher market penetration. Economy pricing – more or less the opposite of Premium pricing, this strategy adopts low prices. It’s a good option provided you’re able to minimize your costs enough to afford these lower prices. 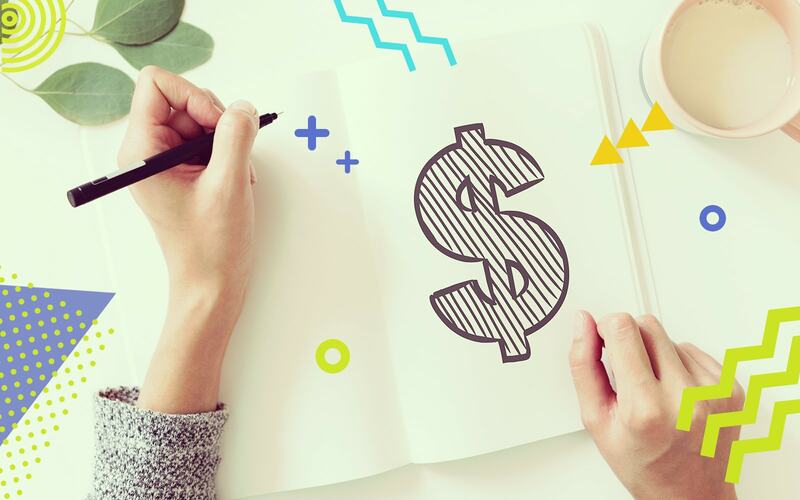 Economy pricing is usually a good way to guarantee more submissions for the program, but it’s a strategy that is less likely to bring a good profit. Psychology pricing – our favourite strategy as it uses a mix of different marketing techniques to drive sales. The main idea here is to incite the potential applicant to make a purchase by appealing to them on an emotional rather than rational level. Throughout this post we’ll go through a lot of these techniques. One obvious advantage of fixed prices is the simplification of the budget and pricing structure. This can work really well when there’s a stable demand for program registrations. There is one major drawback of the fixed price scheme – set the price too low, and you’ll miss out on potential revenue; set the price too high, and you may face slow demand and end up losing sales. 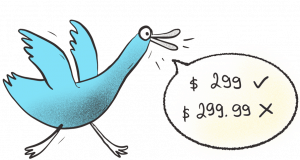 This type of pricing model also ignores the reality of fluctuating demand, and in some cases, completely eliminates the sense of urgency in the potential buyer. Revenue, or yield, management is a strategic tool used to maximize revenues. It is the optimal way to sell inventory for the hospitality industry, event tickets, and fashion products to name a few. The idea is to adopt dynamic pricing in order to drive sales. The price scheme is usually based on segmentation and relevant price categories as well as historical data about peak sales periods. One simple way of driving demand and sales is by incrementally increasing the price when nearing D-day and mixing it up with unexpected discount and promotional sales. ProTip: If entry price increases are part of your strategy you should do them gradually with small and frequent changes. This way you avoid people getting used to a certain reference price and make such changes less noticeable. Make sure you develop the right mix of pricing model, pricing tactics and promotional campaigns. This will allow you to stay unpredictable and to maximise the demand for your event and its revenue. You’ve probably heard the saying that we’re bound to “spend ’til it hurts”. 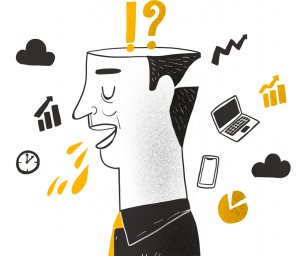 Driving sales is all about reducing that “pain”. George Loewenstein, Carnegie Mellon Professor of Social and Decision Sciences, gives the act of paying with a credit card as a very simple example of reducing that pain. Using it just feels a lot less “painful” than paying cash where you hand over actual bills from your pocket. There are many ways to make a purchase less painful. Part of this fine art involves affecting the customer’s price perception – commonly known as psychological or charm pricing. ProTip: Your price of entry into the program can feel more affordable by allowing the payment to be done in installments. For example, a 299$ can be paid in 3 installments of 99$ each. 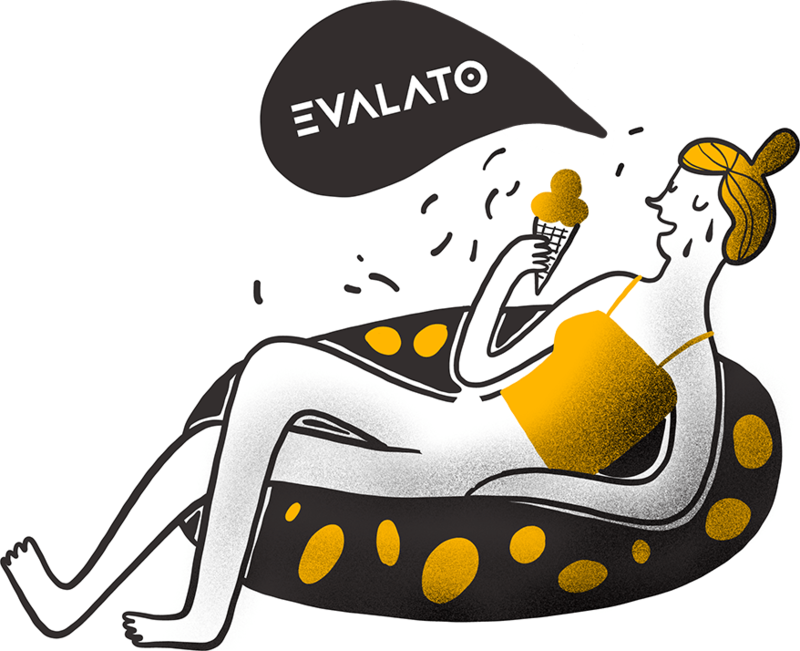 Evalato is one of the few solutions out there that allows you to manage such partial payments quick and easy. To make your price seem lower, reduce the left digit by one count and complete the whole number with .99. It works because we tend to scan information rather than analyze it in-depth, so we see $299 as less than $300 because the first digit we see is 2, which is less than 3. People unconsciously perceive a positive relationship between syllabic length and numerical magnitude. 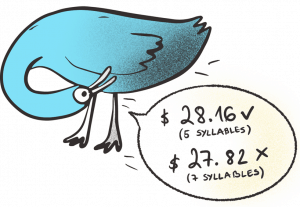 A price which has 7 syllables may be perceived as more expensive than one which has 5 syllables, even if it really isn’t. Test your price to see how long it “sounds” and optimize it if possible. Research indicates that putting a comma in the price can influence the perception of its magnitude. A $299 price will always work better than $299,99 because you reduce both the physical AND the phonetic length of your price. The language you use around the price is very important as well, since it changes the potential buyer’s numerical perception of magnitude. 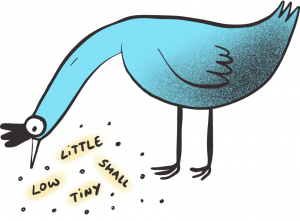 Try to use words that imply a small magnitude like small, low, little, tiny, etc. If you have different prices for entering the program, consider the order in which you’re going to present your categories on the registration form. The first price people see becomes the reference price and affects their perception of all other prices. If you start with a $200 category, a $100 one will seem cheap and $800 expensive. ProTip: If you can’t get pricing to work for you, you probably have a problem communicating why applicants should register for your program. Again, think about what makes your proposition special and why people would want to apply. Then focus on communicating your message more effectively! You have to work to address each of these reasons. It usually starts with your web site, where potential registrants go to find out about your program. It needs to be designed well, better keep it simple and make the content easily digestible. This element can greatly influence how potential registrants view your program, contest, awards, etc. Emphasize why people should attend – the key thing you need to do is emphasize why people would want to apply. If you’re having trouble coming up with such reasons, it probably means you’ve got bigger problems than the website. Motivate the customer to act – use words that can motivate potential applicants to register. The idea is to trigger action instead of just writing about your program. This is a powerful marketing tool that leads to increased sales known as Call to Action or CTA. ProTip: Decide what action you want to trigger, start with a verb that motives towards that action, and for optimal results, put that CTA above the fold at the top of the landing page. This way you make it more prominent and easy to find which is exactly what you want. Add sale badges – promotional sale indicators are a very powerful tool. Whether that indicator is a large SALES text or an attention-grabbing badge, they often get a response from the potential buyer. This one is so effective that a higher price can even outperform the lower price here, because it shows an active promo sale period. The last step is making sure people don’t need to jump through hoops to register for your program. This part is just as important as every other step. A good website is very important, but the actual registration process must be designed equally well, or you risk painting your organization in an unprofessional image and can directly impact the number of registrations you’re going to get. Customer retention will be more difficult as well! Registration (and other program processes) should be easy! Language. If you’re organizing an international contest for example, English is the right choice, but other than that you want to localize the program’s processes in the language that applicants (and judges) are most comfortable with. Currency. This is again about reducing the “pain” of buying. People will always prefer to pay using local currency instead of a foreign one. Communication. 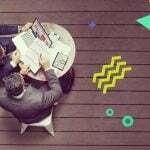 Direct communication with people who register for your program is very important and improves their trust in your proposition. These are all things that set Evalato apart from similar solutions on the market, as it embeds seamlessly into your website and everything happens on it. The platform offers 160+ languages to localize the various processes of the program, supports pretty much every currency out there, and lets you communicate with customers via your company’s email! A simple security seal can increase conversions by 7% on average. Basically, if people don’t feel safe making a purchase, they won’t do it. So you need to show them they can trust you with their personal information and their money. That’s not to say you should fake it – the idea isn’t to fool the potential customer but to show them they have nothing to worry about! ProTip: Nobody likes a registration process with 10 fields to fill in, when in most cases the important information is in 4 fields. As a general rule, it’s best if you keep registration fields to a minimum. Collect the information you absolutely need, but remember to respect the applicant’s time as well! The more convenient it is for them to register, the more likely they are to complete the process. Some careful planning and a good strategy can yield fantastic results. Just remember that there’s no universal recipe for success – you should always experiment, measure results, update, and improve. With Evalato you get the right tools to do all that and so much more – Register now and enjoy the submission and evaluation software of the future.